Statistics tell us that over the past several years Human Resource outsourcing has grown to be a several billion-dollar industry with nearly 90% of small businesses relying upon these critical services. The majority of small business owners have increased their dependency upon HR outsourcing primarily because of the many time and cost saving advantages it offers. We all know full well that the human resource functions play a significant role in any business. But when it comes to small business owners who simply haven’t enough hours in a day nor the appropriate tools to give focus to human resource needs, outsourcing is the perfect solution. From hiring and termination assistance and employee benefit options to payroll administration and tax management the professionals here at Tax Alternatives handle it all. Our team of highly skilled and trained specialists stands ready to serve you with all your Human Resource outsourcing needs. We provide HR solutions that are sufficient for small businesses who simply do not have the needed staff to handle these responsibilities nor the time or resources to put in place an effective and efficient in-house HR team. With this in mind, we want to share with our clients the wide range of benefits that come into play when outsourcing your Human Resource needs. First and foremost, it saves you money and allows you the time needed to focus on your business strategies. In addition, outsourcing will help to improve accuracy and compliance of your employee records and will afford you the confidence needed to know that your small business HR needs are being maintained and managed professionally. Our outsourcing services allow you to focus on business and marketing strategies and spend little to no time on the administrative tasks that are a part of typical HR functions. 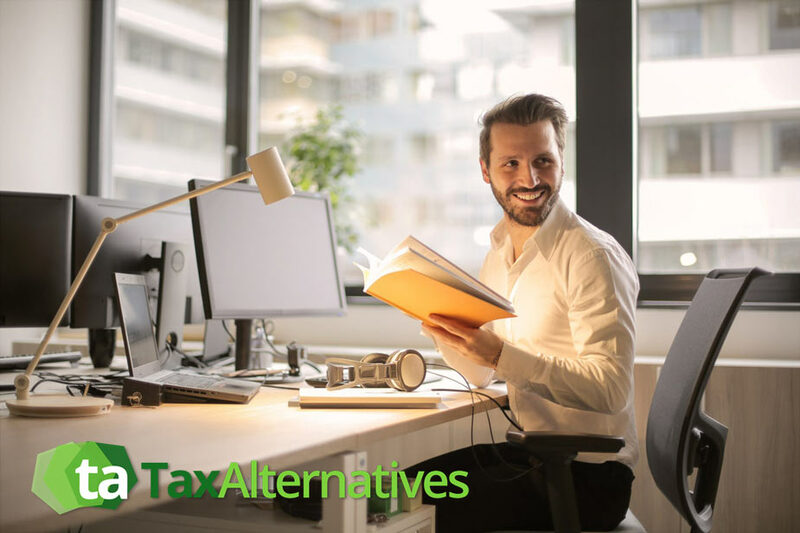 Here at Tax Alternatives you are our #1 priority which is why we take tremendous pride in the many quality services we offer to business owners. We know full well the challenges that come into play when starting out in any business and assure you that when you put your human resource needs into the hands of our trusted professionals your worries are none. Our team of experts is committed and dedicated to helping your small business grow and can do so with the wide range of services we provide. Having been recognized in the marketplace as one of the best all round providers of financial, bookkeeping, tax and business services, our Christian based company stands ready to meet your every need. There is truly no task too big or too small for our team of specialists. All you need to do is give a shout out to our staff and schedule a free consultation. We will gladly walk you through all the services we offer, the advantages and benefits each affords as well as the overall costs. We will work right alongside of you in achieving your business goals by providing you with superior Human Resource outsourcing products and services as well as any other small business needs you may have. In today’s world opening up a small business can certainly have grave challenges and requires a great deal of money, time and focus. When you rely upon our top of the line services and certified professionals rest assured you are putting your trust in the hands of some of the industry’s absolute best. Here at Tax Alternatives we take a great deal of pleasure in helping our clients succeed, which is why we highly recommend you reach out to our team today. Don’t delay. Take that all-important step for your small business by investing in our affordable Human Resource outsourcing services. Our friendly team looks forward to serving you and sends along blessings and wishes from our family to yours for a safe and happy Christmas holiday season! !